What should you do with junk mail? I've minimized our junk mail to the point that what remains is just right for starting fires during the winter months. But by June, those credit card offers are piling up, so I shred anything that's not glossy and use the paper as mulch around the perennials. Sending junk mail through a shredder is slow, but the mulch is an excellent source of organic matter for the soil and is a good weed blocker if applied thick. What innovative homestead use have you found for junk mail? We use shredded junk mail for duckling litter. The ducklings need fresh litter pretty often and the shreds work really well. We compost the used shreds. It's a good system. Arent you concerned about the heavy metals and dioxin that are found in papers and inks? Almost all of our paper items (mails) are separated out and recycled every so often when we make a trip to the collection center. Thank you for this idea! I have an area where I just ripped out the Bermuda grass weeds and I want to plant sunflowers but I am afraid to water the area because the grass will come back. I will try using shredded paper from work to help control the grass. 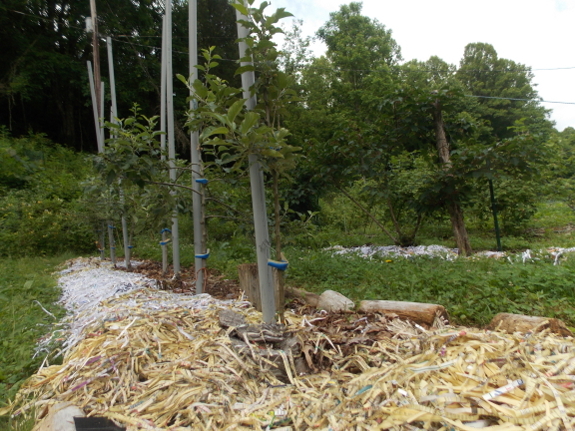 I use shredded paper as bedding for my composting worms. I can also use cardboard and paper-based egg cartons. The paper balances out the food scraps that I also add and keeps the moisture levels in check. I have tried using shredded paper in my compost bin as well, but in my area it gets windy. I have avoided using it too often unless it can quickly get covered by other material and avoid blowing around my backyard.